« The Wives of Martial #Caillebotte, Part 1. 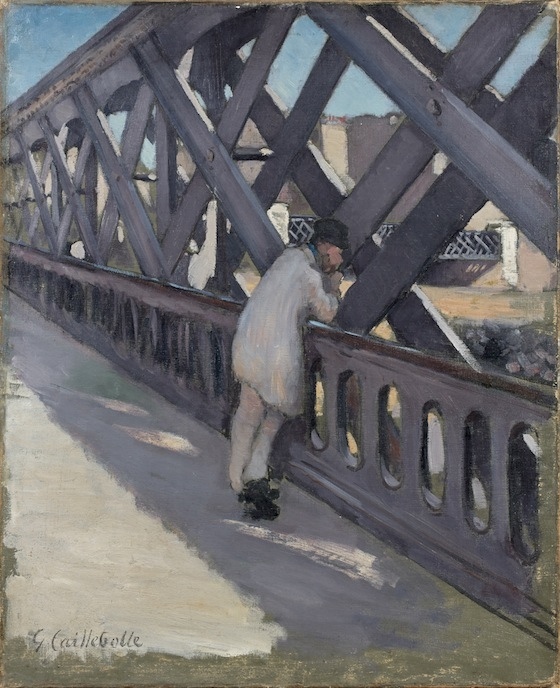 PARIS – Artcurial is privileged to present for auction a major Impressionist icon, Le Pont de l’Europe dated 1876 by Gustave Caillebotte (1848-1894). Coming from a French private collection, the work is entering the market for the first time in 60 years. With an estimated value between 3 and 4 Million euros, the painting will be presented during the sale of Impressionist and Modern Art on December 2, 2013. “Given its quality, rarity, and size, the availability on the market of such a major work by Gustave Caillebotte represents a major event for collectors and institutions,” emphasizes Olivier Berman, director of the Impressionist Art department at Artcurial. This magnificent painting by Gustave Caillebotte, a true genius of image, is one of the versions of his famous composition Le Pont de l’Europe from 1876, currently held by the Musée du Petit Palais in Geneva. The sale is also an integral part of current events since an important retrospective of Gustave Caillebotte at the Bridgestone Museum in Tokyo will open on October 10, 2013. Between March, 2011 and January, 2012, a major exhibit dedicated to the Caillebotte brothers was organized by the Musée Jacquemart-André in Paris, and later at the Musée National des Beaux-Arts in Québec. From November 2 to 6. From November 14 to 18. From November 29 to December 2.